Juliana and Candice Glaser became superheroes and Santa’s Little Helpers this year. With the help of their mom (Jan) and dad (Jason), they used their hearts and talents to make a difference for a cause that they cared about. Namely, for a person they cared about: their grandmother. Juliana and Candice love their grandmother, but sometimes she doesn’t recognize them because she has Alzheimer’s. Alzheimer’s Disease, a version of dementia that affects memory, behaviors, and thinking, worsens as time progresses. There is no cure, but research has resulted in medicines that can slow the progressive deterioration of the brain and its functions. There are about 5 million families in the U.S who have a family member who suffers from Alzheimer’s. 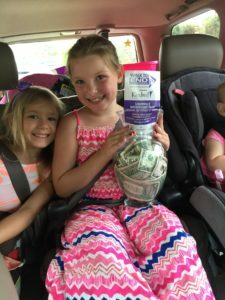 The girls wanted to do something to help their grandmother, even if they couldn’t always understand why she can’t remember them every time they go visit. They had seen kids holding lemonade stands, and wanted to try it for themselves. 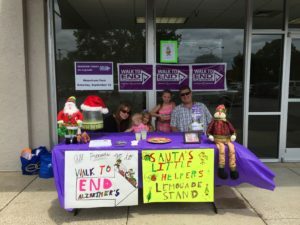 When their Dad suggested that they raise money to the Walk to End Alzheimer’s, they were all for it. But they didn’t want just any old lemonade stand; they wanted to share something of their grandmother. So in order to do that, they created Santa’s Little Helpers because of their grandma’s very special love for Christmas. It also emphasizes, according to Dad Jason, that they are not “just Grandma’s Little Helpers, but everyone’s Little Helpers.” Juliana and Candice spent a lot of time decorating posters and making signs for the big day that would not only advertise their lemonade, but also share their story. Dad, Mom, and baby sister Charlotte helped out, too! They wanted to help not just for their grandmother but for everyone who suffers from this life-altering disease. 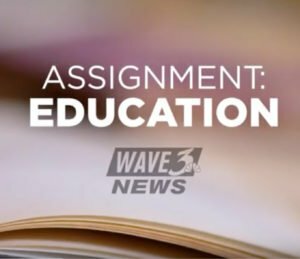 They set a goal of raising $50. 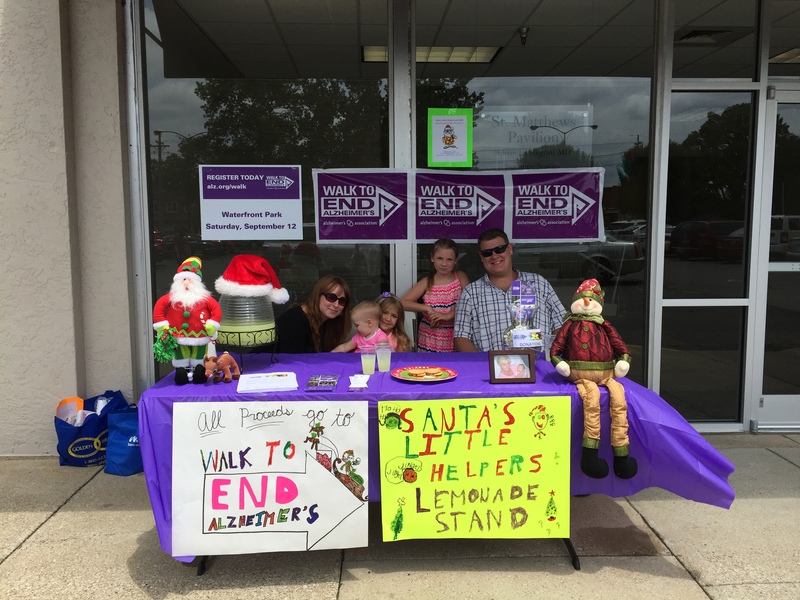 On July 11th, 2015, outside the St. Matthews Pavilion on Shelbyville Road, Juliana, Candice, and their dad Jason manned a table, selling lemonade to raise money and raise awareness for the Walk to End Alzheimer’s. The girls would call out to those walking by and managed all the selling and serving of lemonade. 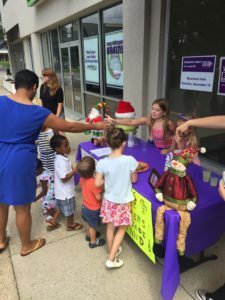 But as it turned out, their patrons got more than lemonade out of their experience; they were able to tell their stories, make connections with others, and see that they were not alone. 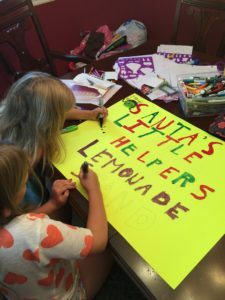 Not surprisingly, just as the girls gave out more than lemonade, they received more than they expected: they made $407, 800% more than they had set as a goal. 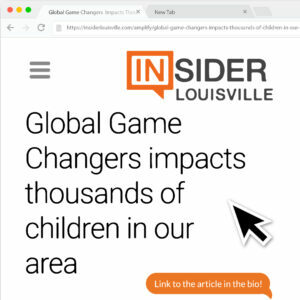 These bright, talented girls are Global Game Changers because of how they are helping their community. Their talent was making and running a lemonade stand and their heart was helping the Elderly! Their dad, Jason, says that the most important things his girls learned from this experience are service and entrepreneurship, skills that can make a difference in their lives later on. He and the girls show that Christmas, the season of giving, can be a season that carries the whole year round.